Hedda Felin, Equinor, Senior Vice President, Managing Director UK and Ireland Offshore. Statoil’s UK North Sea chief Hedda Felin says she is an example of why women don’t necessarily need to come from a traditional oil and gas background to get into leadership roles in the energy sector. Having trained as a diplomat, she started out in Statoil as a managing consultant 12 years ago, moving through the value chain to become managing director and senior vice-president for UK and Ireland offshore. She says that while STEM (science, technology, engineering, maths) subjects should not be shied away from, having a different background is something Statoil welcomes in its leadership ranks, and hopes that can also provide inspiration for the young women of today. Ms Felin said: “The oil and gas industry is Norway’s most important industry so I have always been fascinated by it, but I did not go the technical route so I do not have the typical background. “I don’t think I am the typical Statoil executive from what it traditionally used to be, so I think that’s a good thing when we talk about diversity. “Traditionally, this is an offshore industry. Men have backgrounds in engineering and traditionally the best engineers become the leaders. 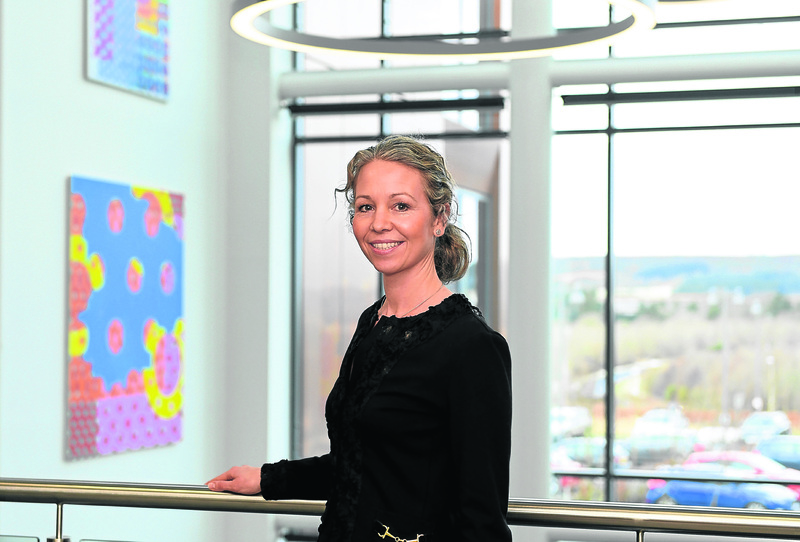 According to Ms Felin, her route – which may seem to be a unique way to come up into the industry – is becoming more the norm as firms like Statoil look for different minds to answer challenging questions. “As a company we are very focused on diversity,” she said. “There are a lot of decisions that need to be made and if everyone comes from the same school and are the same age, gender and nationality you will tend to get the same answers to certain questions. In that point I think we are more aware of the need for diversity. “I came up through the safety and sustainability line where I had a lot of different leadership positions. We have quite an advanced way of developing our leaders within the company to get our leaders exposed to different types of problems along the value chain, so I worked from the beginning in exploration along to the last point in retail. In her North Sea leadership role, Ms Felin is responsible for overseeing the groundbreaking Mariner development, which is due to come on stream later this year. It is estimated that the field, which lies 93 miles east of Sheltand, has reserves of more than 250million barrels of oil, with an everage peak production of 55,000 barrels per day. She is also overseeing the Hywind project, the world’s first floating offshore windfarm, which came online last year. While the oil and gas industry – which Ms Felin would say is now more accurately known as the energy industry as firms look to diversify into areas like wind and solar – has been traditionally male-dominated, she believes the role of women will be “huge” as the next generation comes through. However, she thinks what is needed is more than just a change in the policies of energy companies – more a change in societal pressures to give young women the best chance. “I expect them to play a huge role and that’s back to that change in the industry,” she said. “Just looking at Statoil from being a traditional oil and gas company in Norway to being an international company in 33 countries and all that implies of cultural challenges – expectations from communities, different types of societies to work in with different expectations – and also to broaden up to be an energy company, not just oil and gas. “Oil and gas will be a very predominant part of the energy mix going forward but also new types of products in the energy mix like offshore wind. We’re also looking into solar. We need brilliant people. “There are a lot of brilliant people among girls and women and we need to tap into that potential. “It’s a complex question around why or how we can make it more attractive to women. “It’s not only about giving opportunity to women, it’s a societal journey as well. The industry has maybe been looked at as very male dominated. You need to have flexibility to go offshore – what is expected of young mums in society today? How much support do you have around you to be able to do this? A lot of that has played a part in why I could take this journey that I have taken. “I have good kindergartens and things in society that help to take care of my kids during the day that allows me to be able to do this. My husband also helps out. While Ms Felin insists a technical background is no longer a prerequisite for working at a company like Statoil, she adds that more needs to be done to draw more young women into STEM subjects.